To kick off the holiday season, King's High School DECA is holding its third annual King’s Holiday Show KHS. This event will showcase nearly 70 vendors representing businesses from the greater Seattle area. These booths will offer many treats and stocking stuffers as well as unique presents for everyone on your list. Come support King's High School DECA and join us on Friday, November 30, 2018, in King's Garden Gym — 19400 Greenwood Ave N in Shoreline any time between 9:30am and 3:30pm. An estimated crowd of around 2,000 shoppers is expected to pass through the show throughout the day. This year's businesses range from Glassybaby, to Alpine Hut winter hats. Students will also be creating handcrafted gifts such as scented candles, and delicious edible cookie dough. These booths will offer great gifts opportunities for the upcoming holiday season. This event is brought to you by King's High School DECA, a program dedicated to preparing emerging leaders and entrepreneurs for careers in all areas of business. All proceeds go towards the life changing journey and career opening program DECA offers to its students. 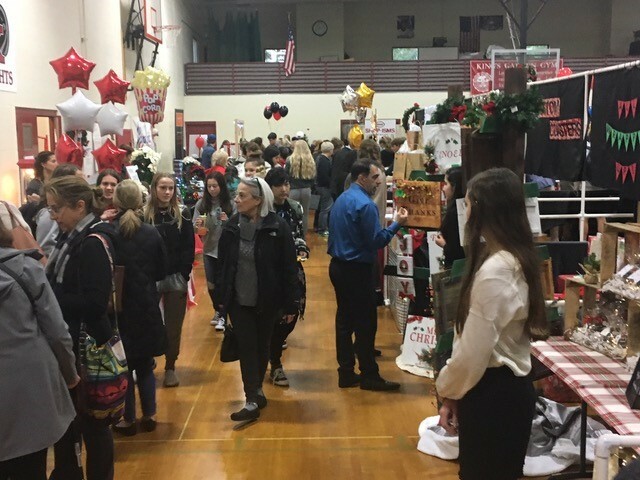 King's High School DECA alumni, and current UW Foster School of Business student, Jake Welch stated, "Participating in the Holiday Show provided valuable experience and great insight into the world of business." The show will continue to enhance current students' confidence and skills in all areas of business.